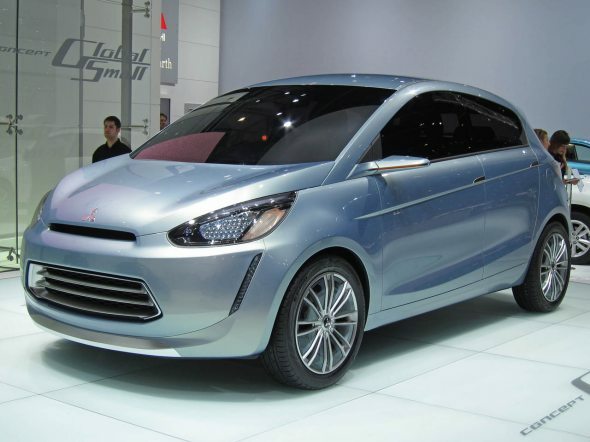 Mitsubishi Motors today showcased their new Global Small car concept at the 2011 Geneva Motor Show. The car will be built in Thailand and launched in several Asian markets, including India by 2012 or 2013. 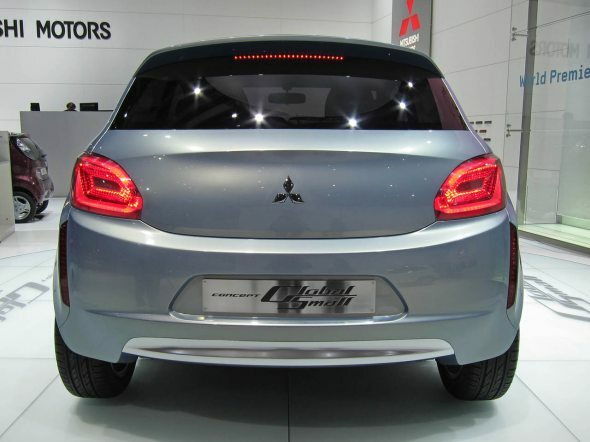 In other markets, the new concept’s production version will likely replace the slow-selling Mitsubishi Colt. 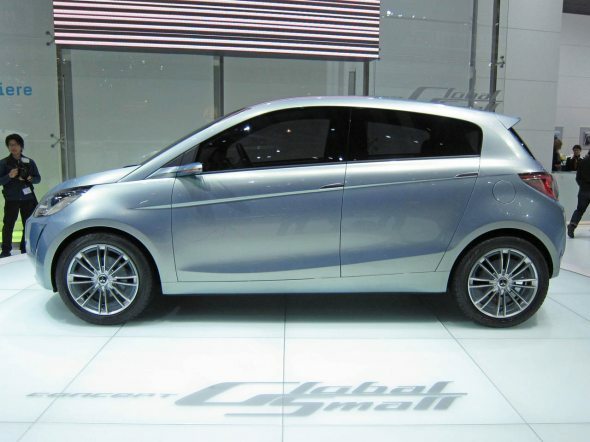 The Global Small car will be smaller than the Maruti Swift measuring 3,740 mm in length, 1,680 mm in width and 1,490 mm in height. It will be powered by either a 1.0-litre, or 1.2-litre, 3-cylinder, MIVEC engine, mated to a 5-speed manual transmission. The car will sport 185/55R, 16-inch, low rolling resistance tyres fitted with attractive 8-spoke alloys. It will also feature some smart technology such as auto stop and go, and brake energy regeneration system that will help enhance mileage. Currently, Mitsubishi’s lineup in the country comprises the Lancer (Rs. 7 lakhs*) and Cedia Sport (Rs. 9.6 lakhs*) in the mid-level sedan segment and the Pajero (Rs.20.35 lakhs*), Outlander (Rs. 20.25 lakhs*) and Montero (Rs. 39 lakhs*) in the premium SUV segment.